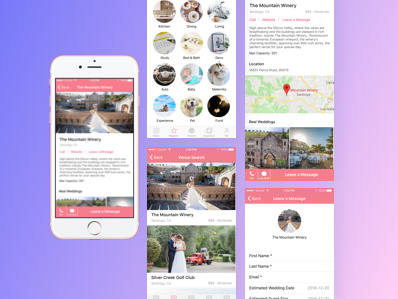 We changed the way that young women pickup outfits and do shopping in this side project. Why is it hard to decide what to wear? It's not just about time. Even when women have plenty of time, facing the wardrobe full of clothes, they still feel nothing to wear. How might we help women make decisions and look their best? To figure out the problem space and get a clear mission, we drew the territory map and conduct user research with young women. 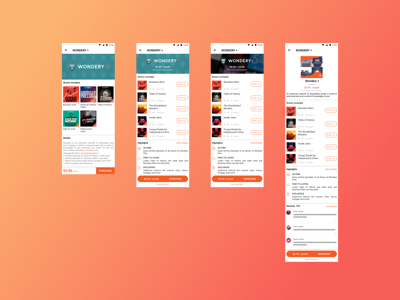 After the competitive analysis, we also noticed that there is a market niche of providing personalized suggestions in a private space, which could be a good design opportunity. 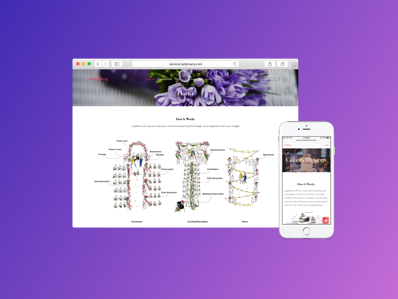 unlike current fashion apps that focus on fashion tips and merchandise promotion. 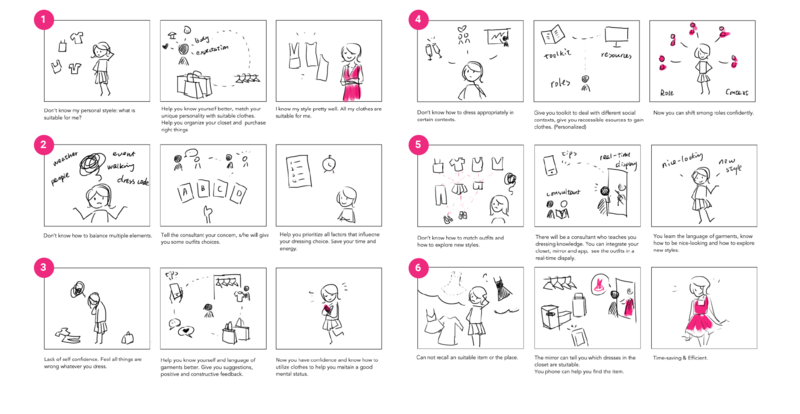 To figure out the priority problem to solve, we quickly sketched 6 sets of problem scenario, solution (components) and activity scenario, and move to speed dating with users. Besides the final solution of exploring new ways of matching clothes (5), one promising alternative direction was providing occasion-based suggestions (4) for those who are new to exploring styles, and show clothes key words for users. 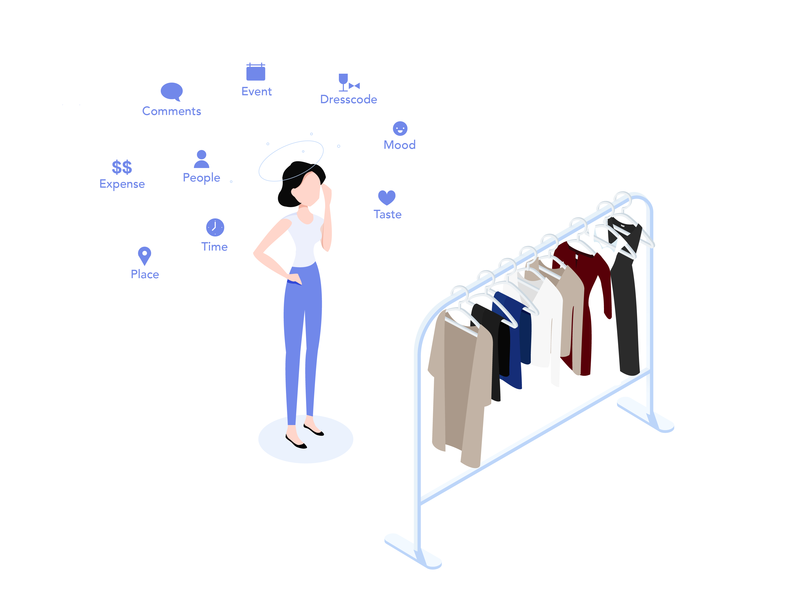 Our high-level goal was behavior change and mindset resetting by telling users "You are what you wear" so as to build a new relationship between people and clothes. 1. User group is relatively small and the need is low-frequent. 2. Users who know their styles think those popover keywords block their view when they look at the outfits. 3. Explore function in a conversational way is kind of bulky. 4. 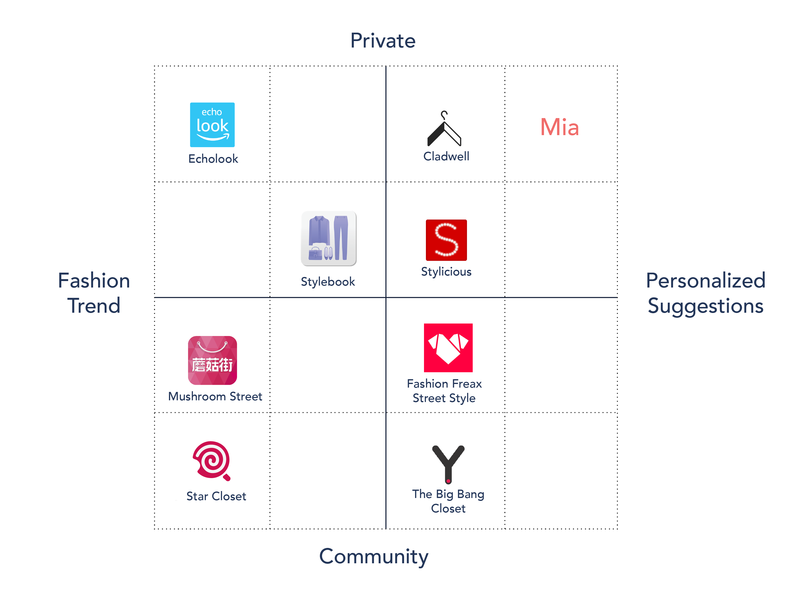 As a intelligent style assistant, Mia needs to provide users options and extract useful information but should never judge for users. 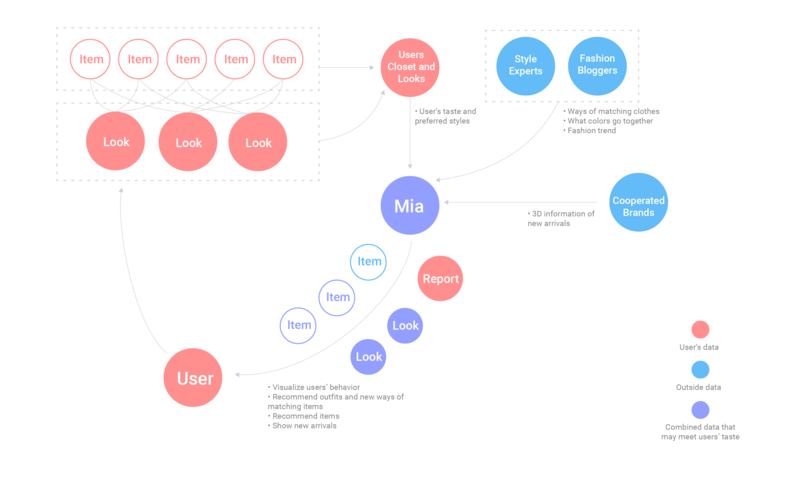 Mia helps users explore new ways of matching clothes, and changes the way that women pickup outfits and do shopping. It includes a mobile app and a smart mirror to provide users a seamless experience. The flow of value illustrate how Mia learn knowledge and applied the knowledge. 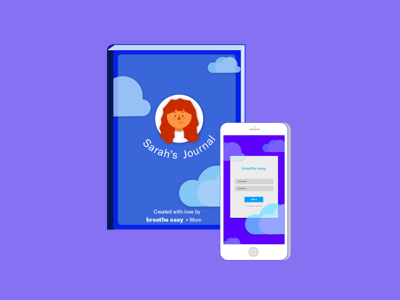 Five functions: daily recommendation, closet, reports, shop and look book. 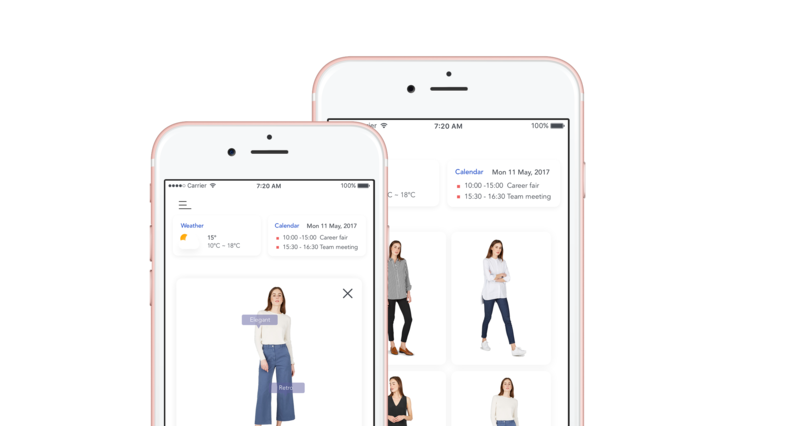 Mirror provide an intuitive and efficient way to virtually try on clothes and record user behavior. 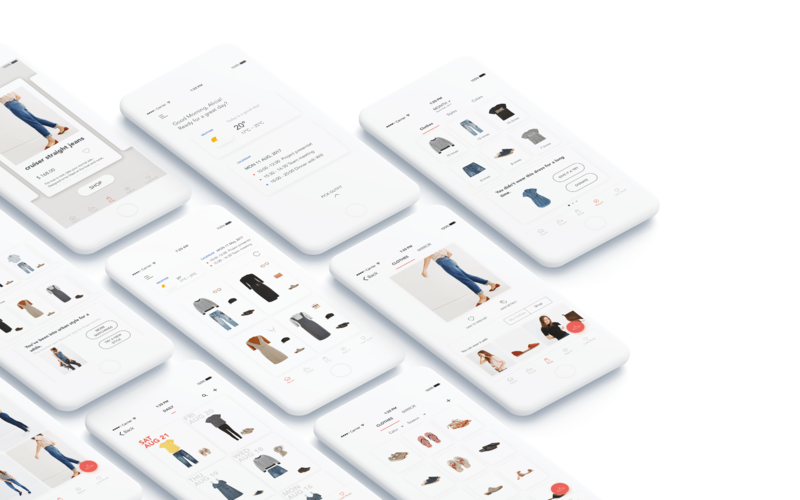 This is the closet mode and shopping mode, users finally check out on their phones. Onboarding experience: simple popover view. We all know the double diamond model of the design process, but the actual situation is full of zig zag turns and small loops. We may go back to dig deeper in the research findings after an early prototype or modify the problem statement after a round of user testing. Every time we conducted user testing, we got some valuable feedback from our users. Early user testing helped us test our assumptions and change routes in time before moving too far. Always paying attention to technology development and knowing the constraints helped us to do futuristic yet still feasible design. 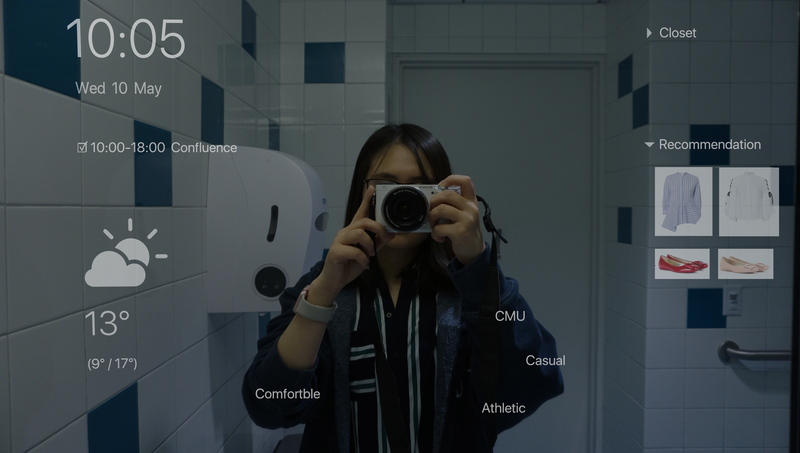 Compared to the dominant Flow UI devices, Mia is supposed to adopt the Relationship UI, which means the IoT system is not a reactive artefact, but an intelligent cyborg who can communicate with user in a two-way approach. Users can treat the system in the way like treating plants or animal pets. The more the user use it, the smarter it will be -- in other words, the longer user play with it, the more considerate it will be, the better it will know the user. It will not just render obedience to users, but will offer help and bring surprises to users (eg. variant prompts according to different emotions, different tones for different users). 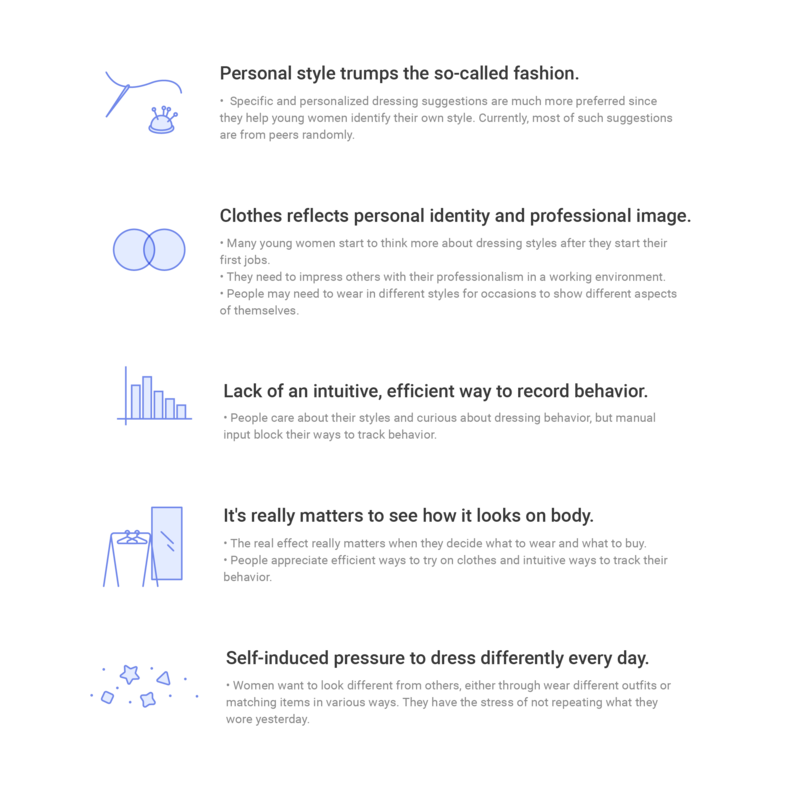 With the technologies developing, new trends are emerging in the apparel industry, like the tailored measurement scales rather standard S/M/L, 3D printing rather than traditional production ways, and new attitudes towards dressing. 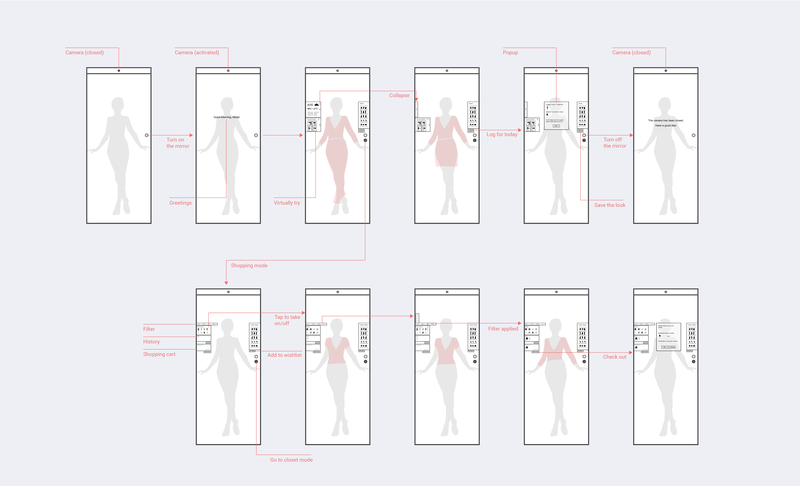 We can introduce more features to cope with these new trends, like to scan body measurements using the mirror, tailor clothes with cooperated brands etc. Ranjitha Kumar, Kristen Vaccaro. 2017. 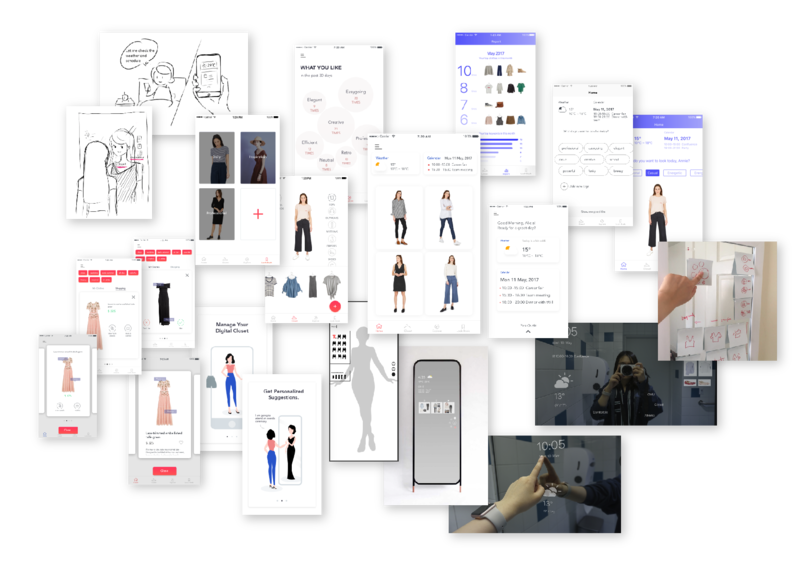 An Experimentation Engine for Data-Driven Fashion Systems. Proceedings of AAAI Symposium on UX of ML ’17. Kristen Vaccaro, Sunaya Shivakumar, Ziqiao Ding, Karrie Karahalios, and Ranjitha Kumar. 2016. The Elements of Fashion Style. Proceedings of UIST ’16.